In the spring, gardeners hope for spring rain “to bring May flowers.” The awakening of new growth on perennials brings hope for flowers. The long-lived peonies come to mind as they grew every year on my grandparent’s farm, reliably blooming every June. During the summer we hope the annual seeds sowed will grow and bloom until fall. The long warm days of summer trigger the growth of buds which, as we see them develop, brings hope for wonderful flowers. In the fall the sun camellias bloom, heralding the camellia season, and we observe the development of the camellia fruit. To those who collect these pods to propagate the seeds, hopes soar—will we get a new and beautiful camellia. 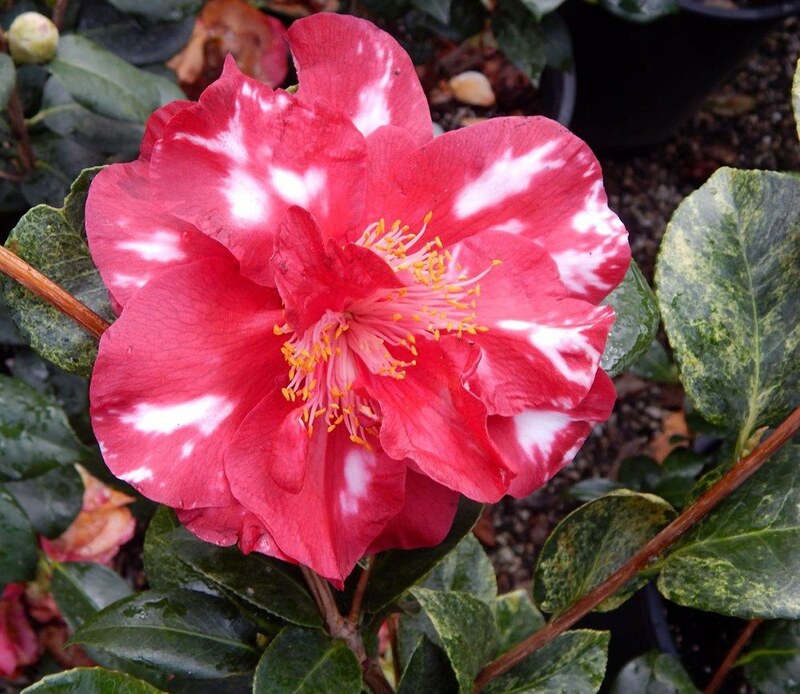 In winter our hopes become reality, as beautiful camellias flowers emerge. We hope some are good enough to enter a camellia show. Bob Hope is one of very few famous people to have two flowers named for him. In 1996 a beautiful red hybrid tea rose was named for him, and in 1972 a camellia. 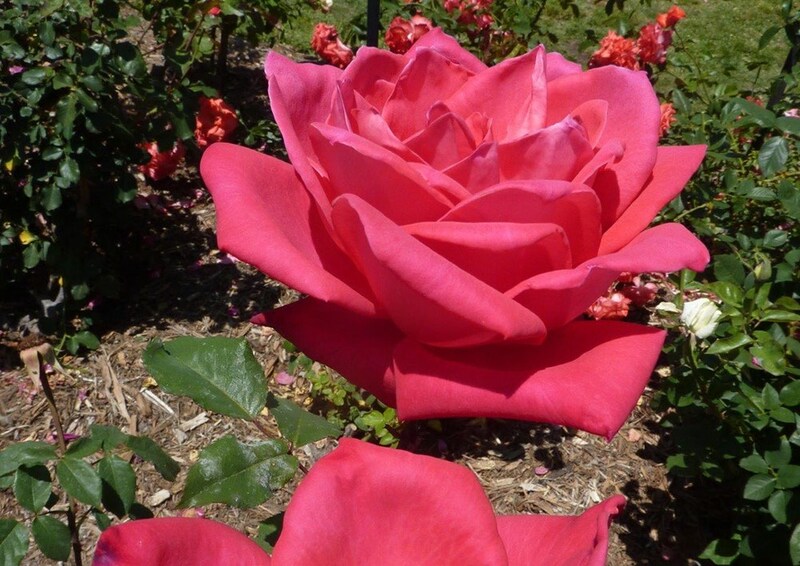 ‘Bob Hope’ the rose is a very fragrant red flower that will repeat bloom growing on a bushy plant. 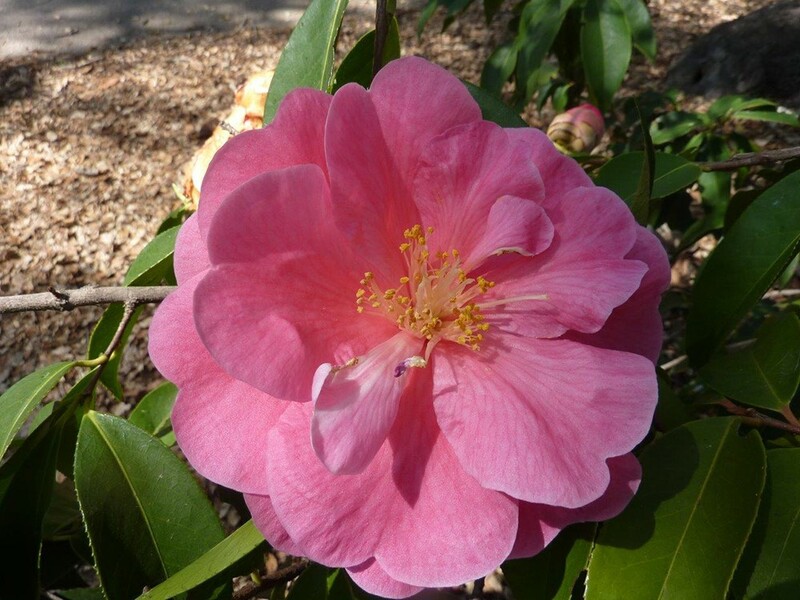 ‘Bob Hope’ the camellia is an international favorite, like its namesake. 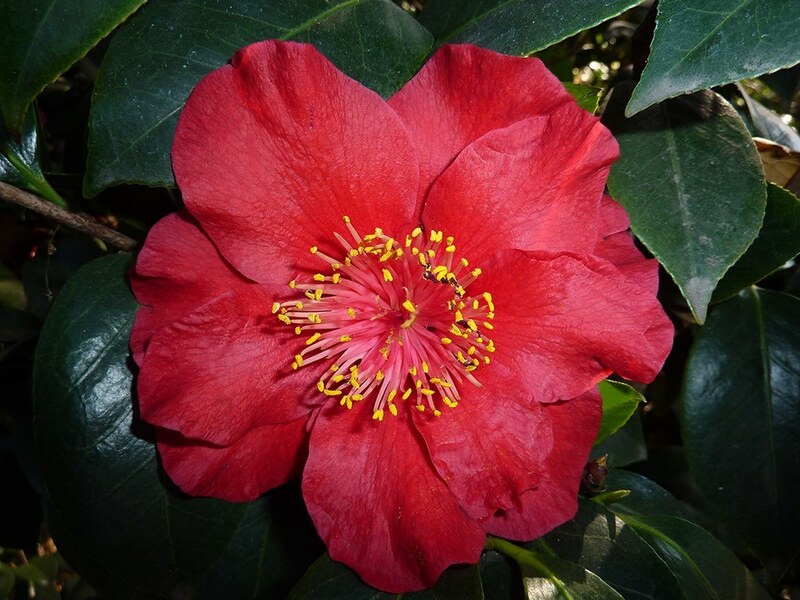 It has a large, deep brilliant black-red camellia flower with purple-black markings on its buds and irregular petals. The famous comedian, Bob Hope, is most well known for his trips entertaining American troops. These performances began during World War II and later extended to the wars in Korea, Vietnam and the Middle East. These shows, many televised to the American public, became his signature as they brought laughter and hope during the most difficult of times when America was at war. Bob was also known during the 1940s and 1950s for his work in radio, film, and television where he acted, sang, and danced. He is most remembered as a comedian. When the superstar years ended in the 60s, Hope continued guest appearances into the 1990s. In May 2003, he celebrated his 100th birthday with a typical wisecrack: “I’m so old they’ve canceled my blood type.” He died a few months later in July. He was born in Elthan, England on May 29, 1903 and named Leslie Townes Hope. He was the fifth of seven sons born to an English father and a Welsh mother. When he was four years old his family moved to Cleveland, Ohio, where he was raised. Years later Bob jokingly said, “I left England at the age of four when I found out I couldn’t be King.” In 1934 he married Dolores Reade. They adopted four children: Anthony, Linda, Honora (Nora), and William Kelly. Joe and Julius Nuccio, the founders of Nuccio’s Nurseries, named C. japonica ‘Bob Hope’ upon the recommendation of Ralph Peer, a friend of Bob and Dolores Hope. Ralph Peer is well known in the camellia world for importing the Yunnan camellia (Camellia reticulata) to America in 1948 and in Hollywood as the founder of the Peer Music Company. He named a very large, light rose-pink flower with orchid veins and some white central petals ‘Dolores Hope’. It is a japonica x reticulata hybrid introduced in 1971. Dolores Hope was well known to the Nuccios as she visited the nursery several times as a customer.